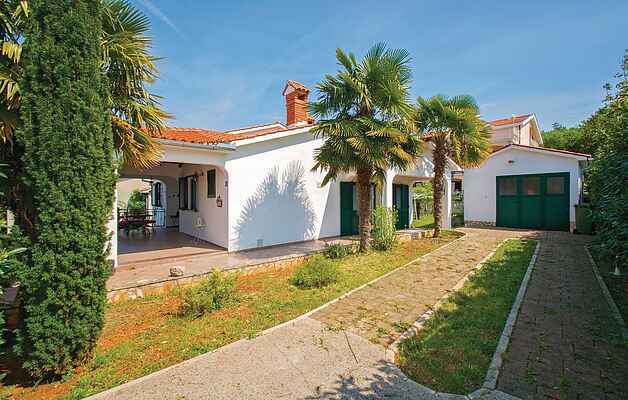 This holiday house is located in Kapelica and surrounded by greenery. The charming interior invites you to relax, while the cozy terrace is ideal for pleasant hours with family or friends. The romantic harbor of Rabac will enchant you with its clear bays and intimate atmosphere. Rabac is also an ideal starting point for trips to Labin, the Učka Nature Park or for great boat trips to the Brioni Islands or to other nearby islands. Do not miss the great gastronomic offer with autochthonous specialties in the taverns and restaurants of this region.